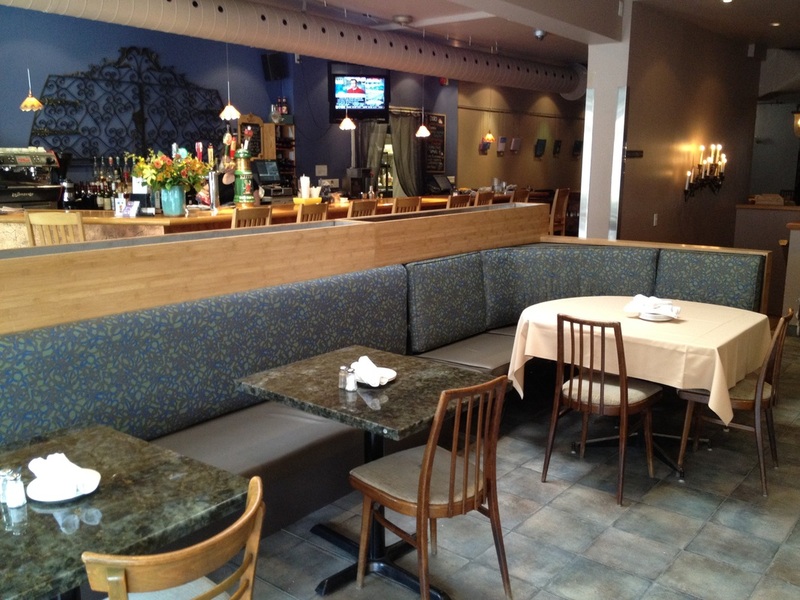 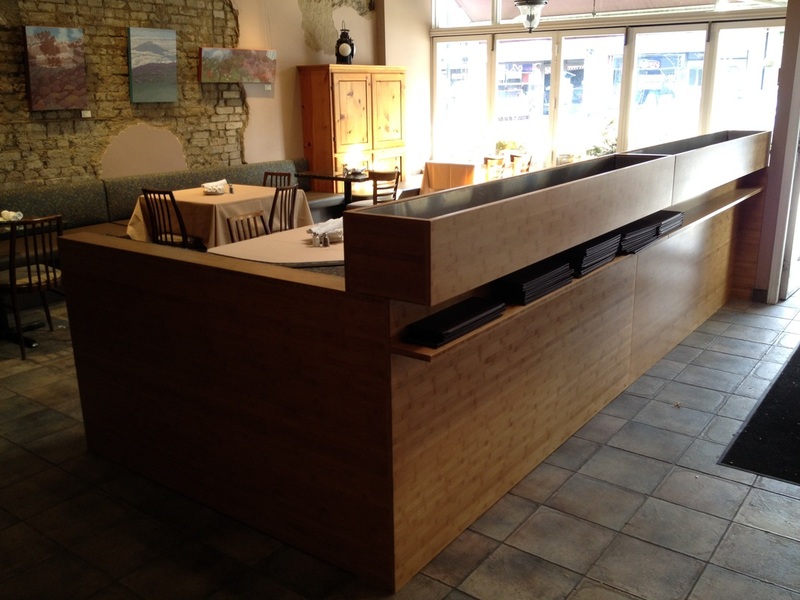 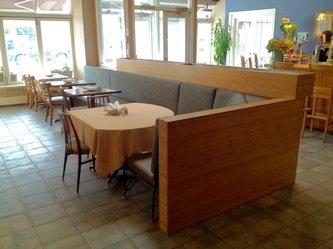 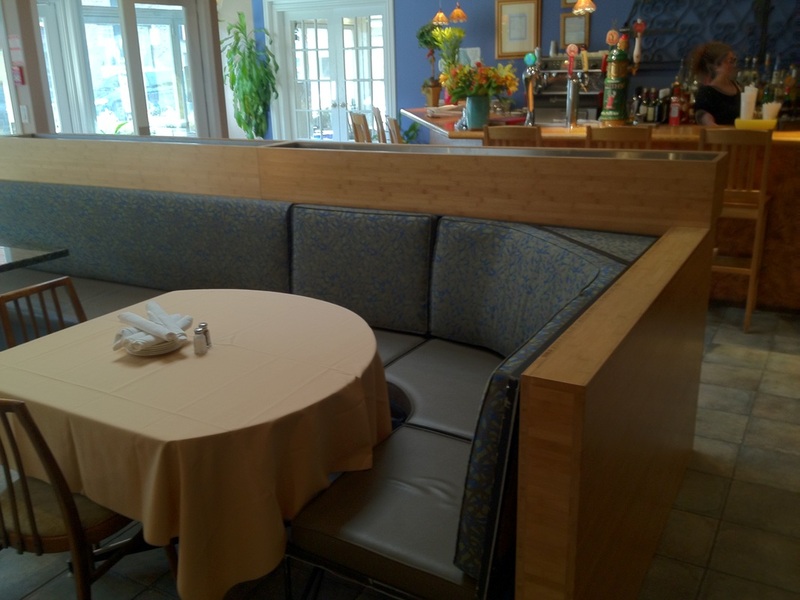 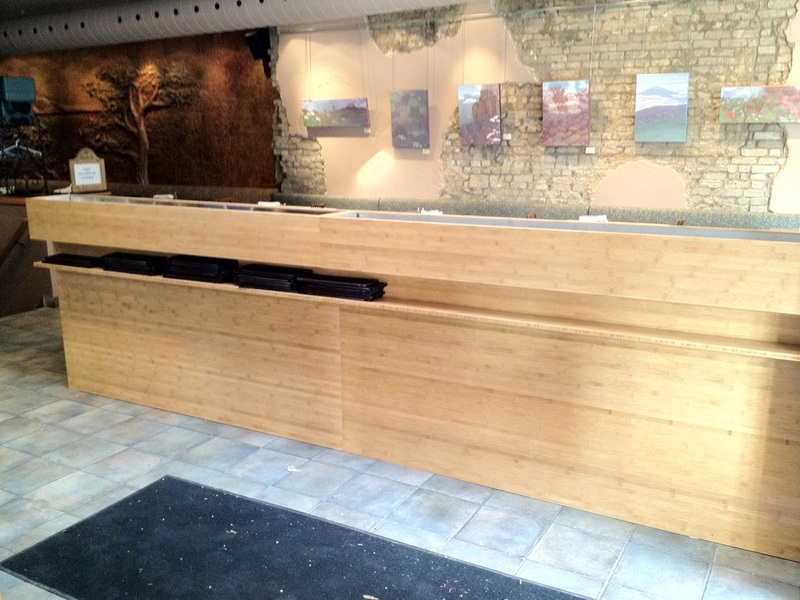 Owners wanted to create a separation between the entry and dining area at the front of the restaurant as well as extend the banquette seating all the way to the front. 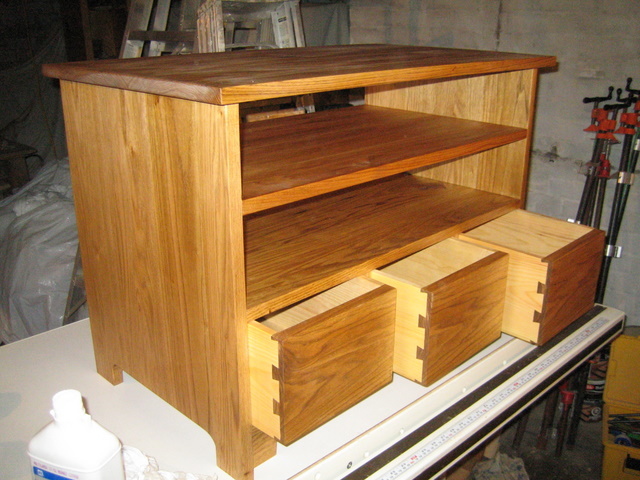 The separation has stainless steel lined planters on the top and a small shelf for menus. 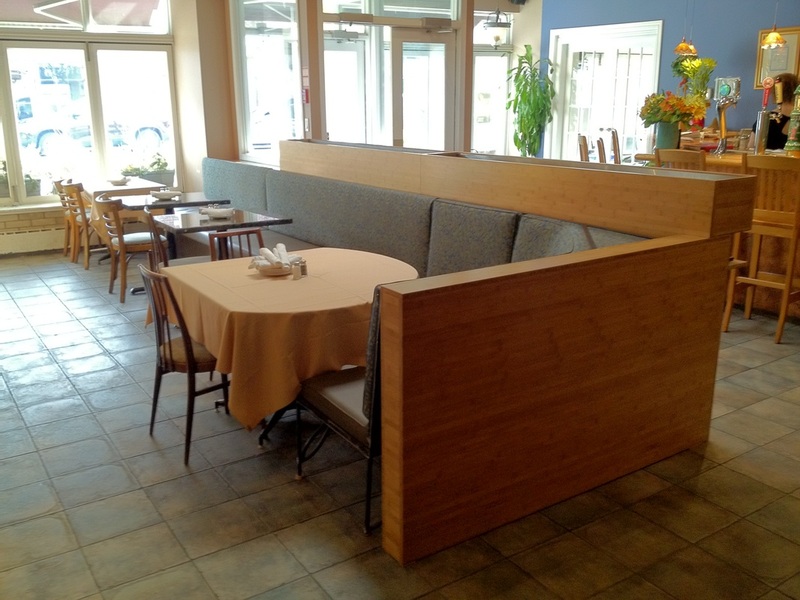 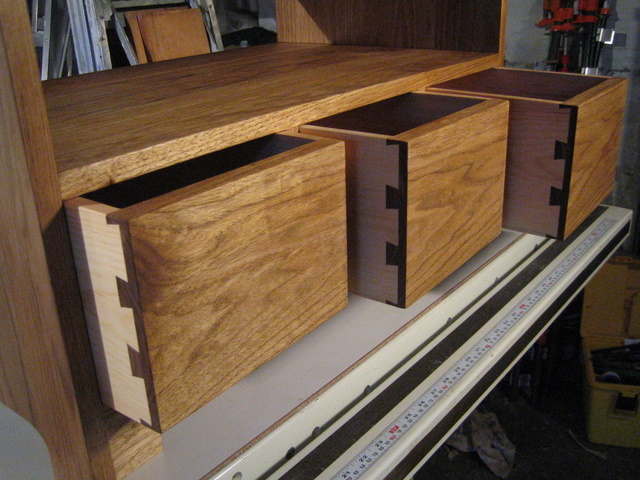 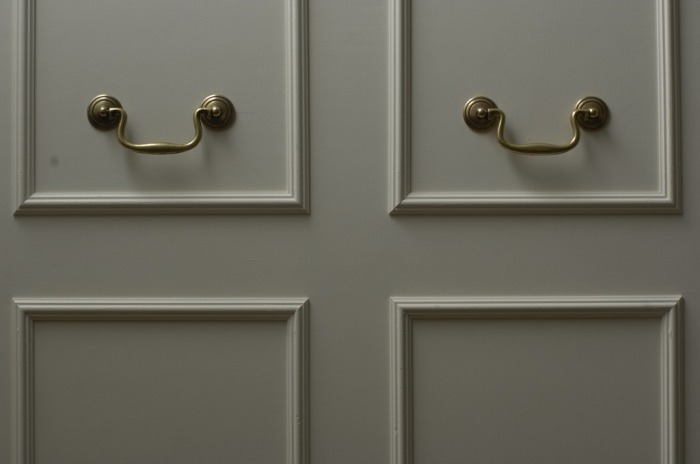 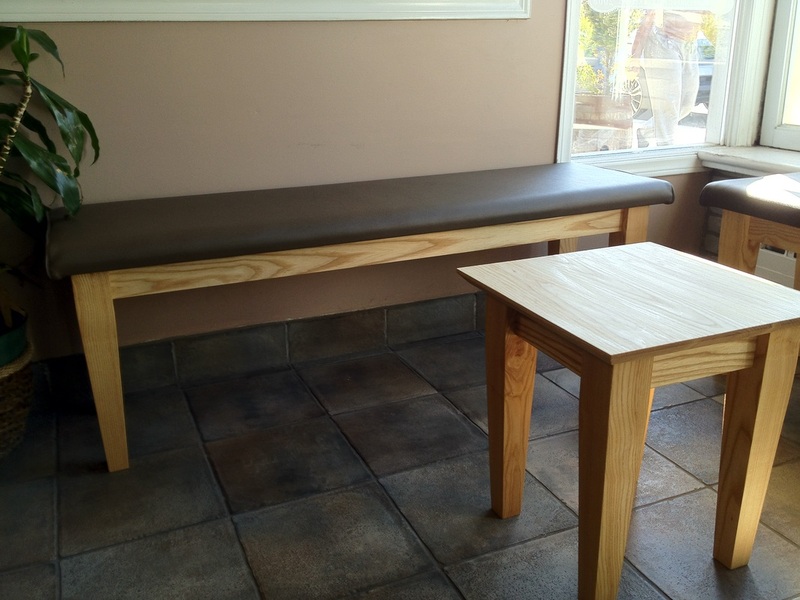 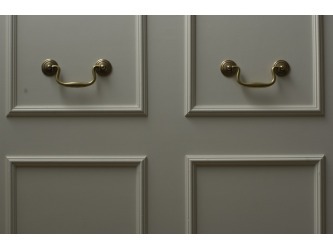 Cabinetry has been made using bamboo plywood and upholstery was done by New Hope Upholstery . This is the space as it originally looked. 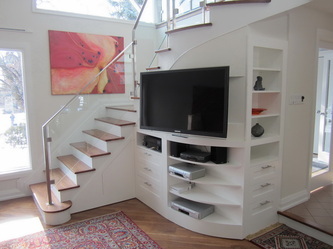 The task was to utilize the as much available space under the stairs and come up with a way to incorporate all the elements of the entertainment centre: TV, media and video game players as well as all the media. 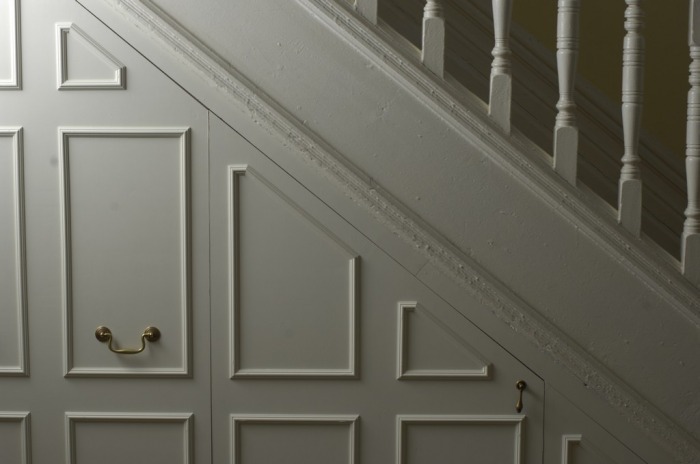 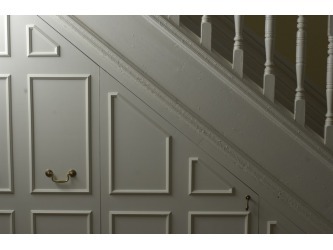 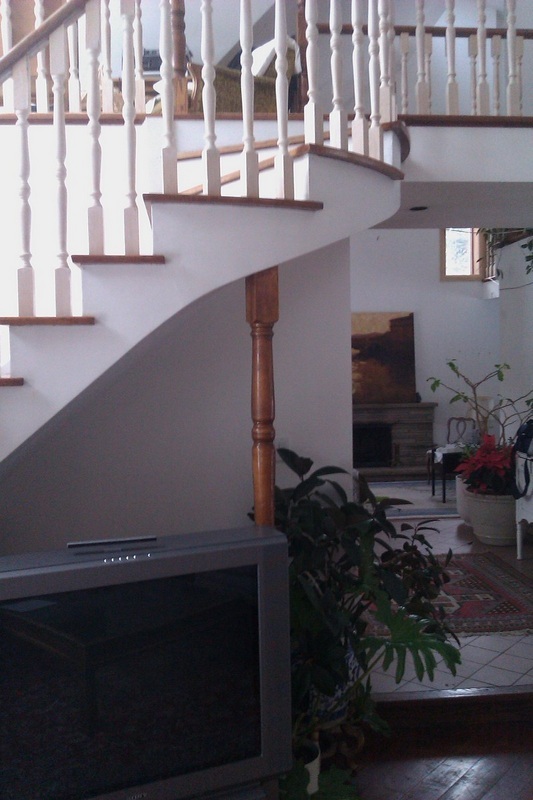 Two challenges are obvious right away, the fact that the staircase has two turns one of which is rounded. 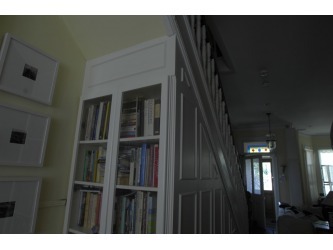 Initial thought was to incorporate a new LED TV inside the space but it was quickly abandoned due to the fact that it would compromise the staircase structure as well as take away too much storage room. 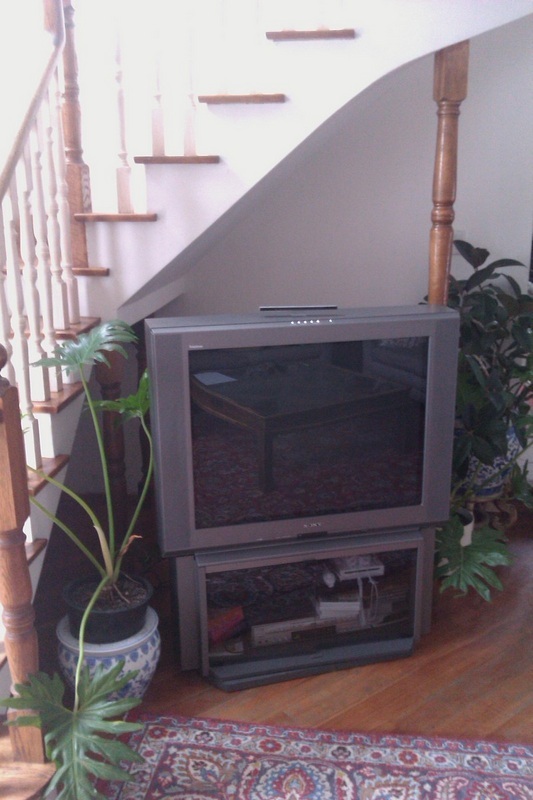 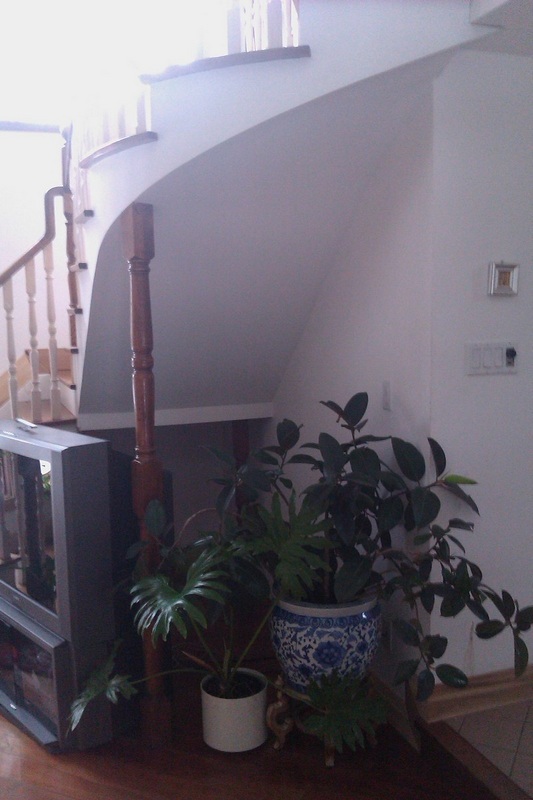 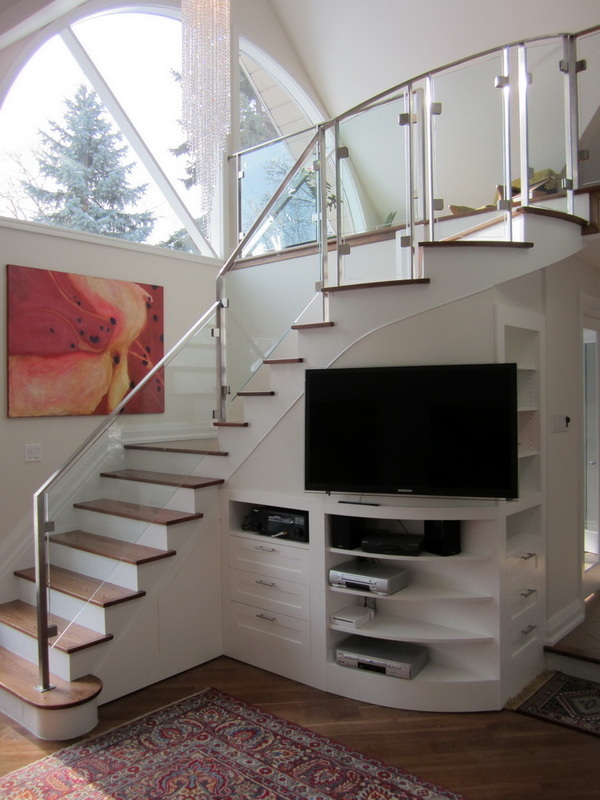 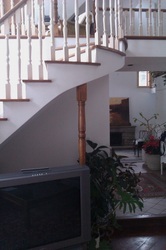 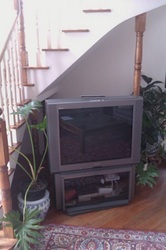 And after... With the TV outside of the space I focused on following the exact contour of the staircase. 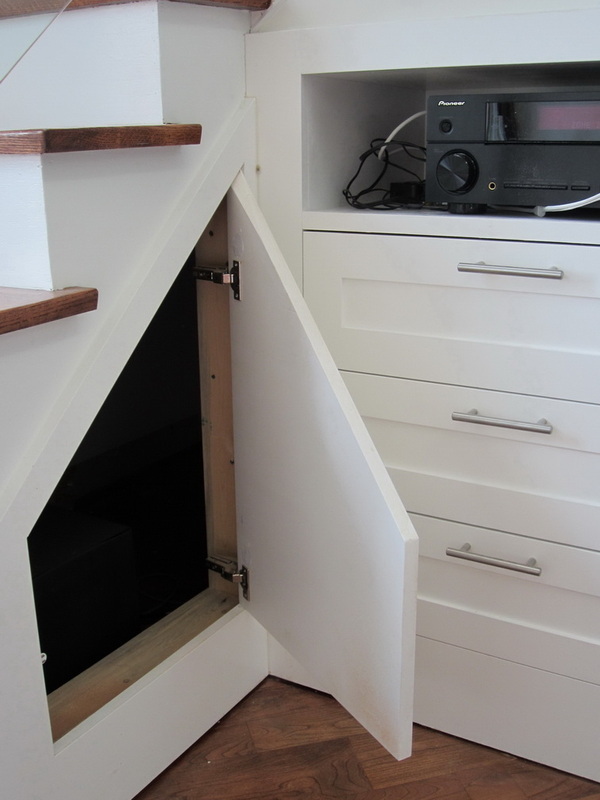 First ting that was done was to remove the existing posts and structurally frame the stairs with allowance for cabinets as well as TV mounting area. The upper section around the TV has been drywalled and the space prepared for the cabinets. 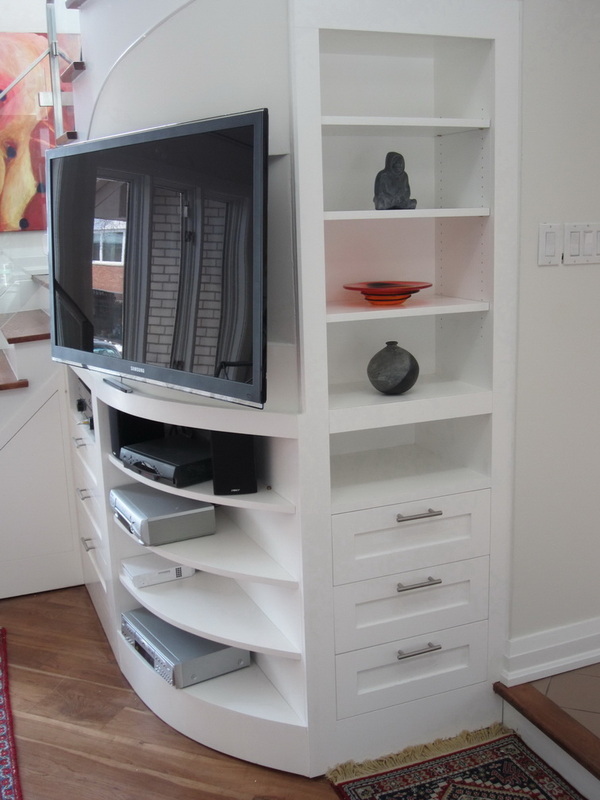 Cabinets were made using bamboo plywood and painted. 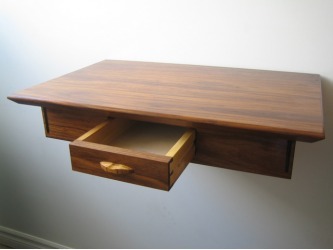 Apart from being very dimensionally stable and strong I chose it for the fact that it would not require any edge treatment, such as glue on veneer. 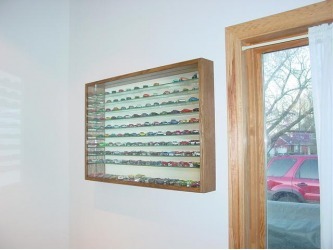 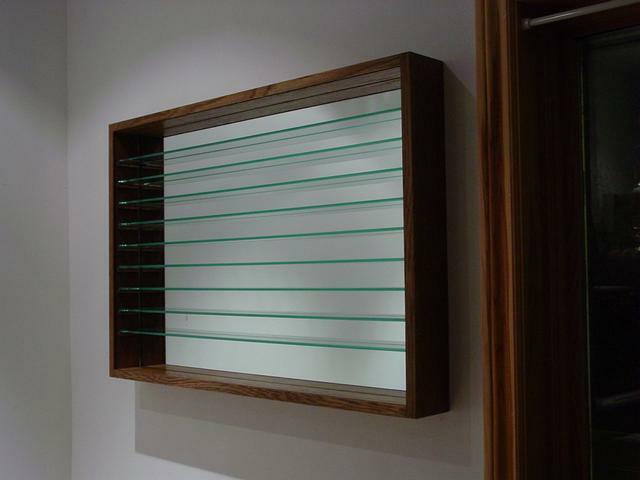 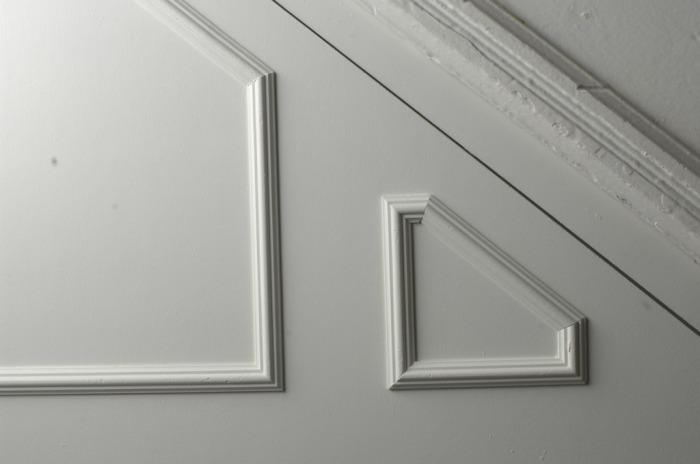 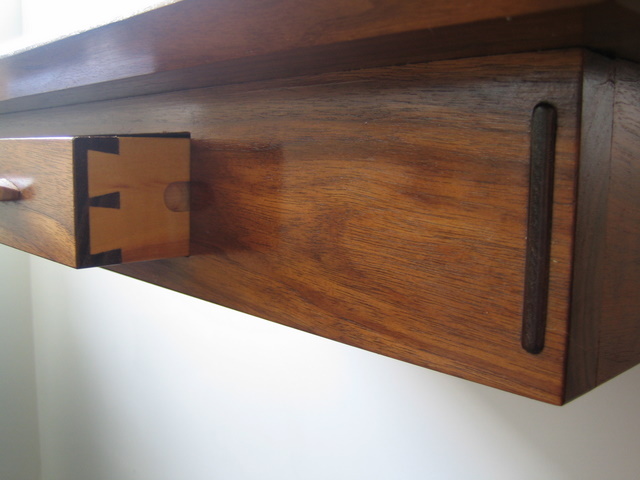 The material behaves like a solid wood board so the edges can be shaped in the same way that wood can. 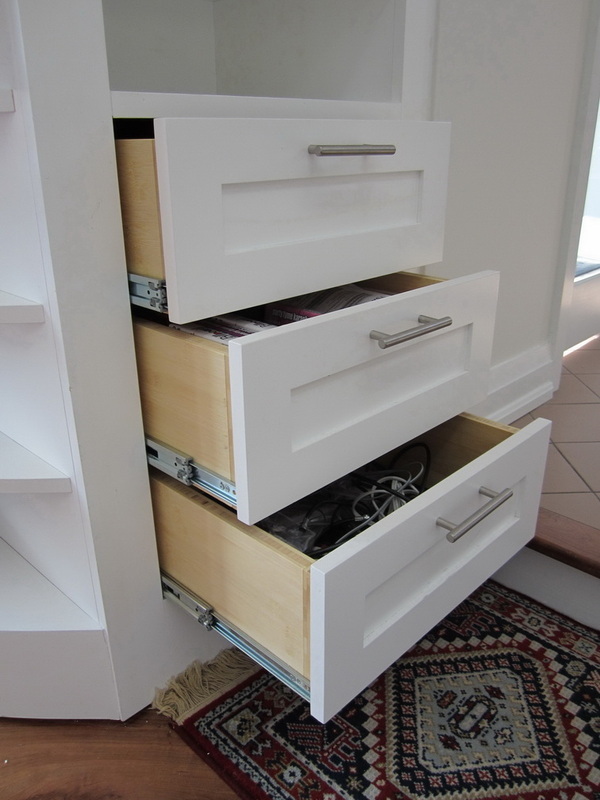 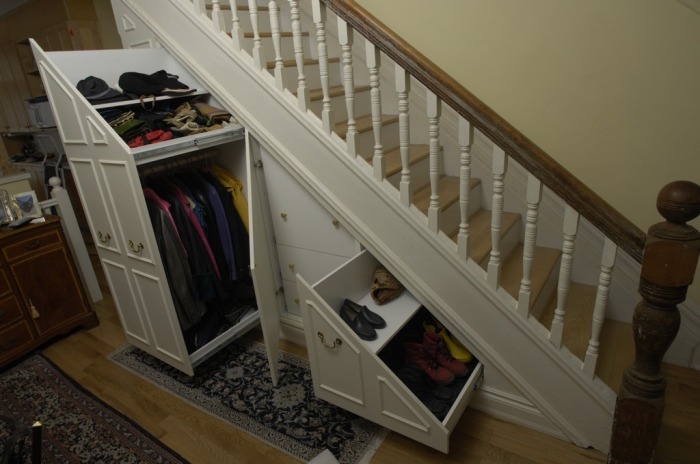 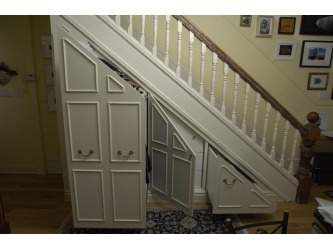 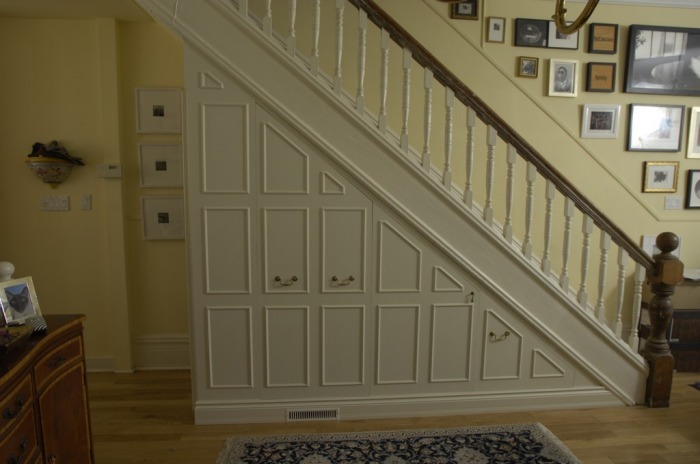 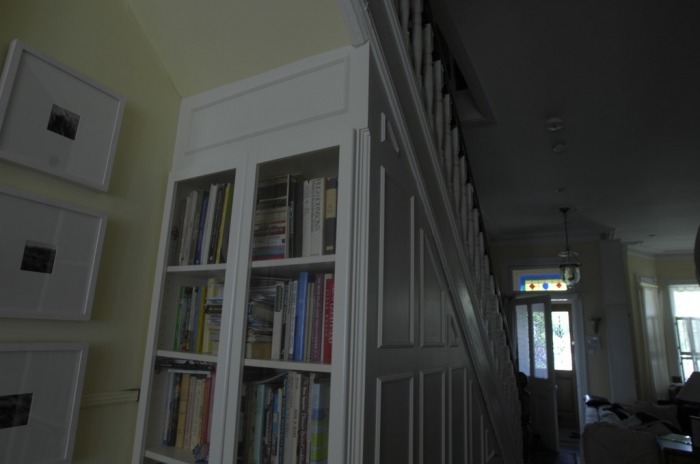 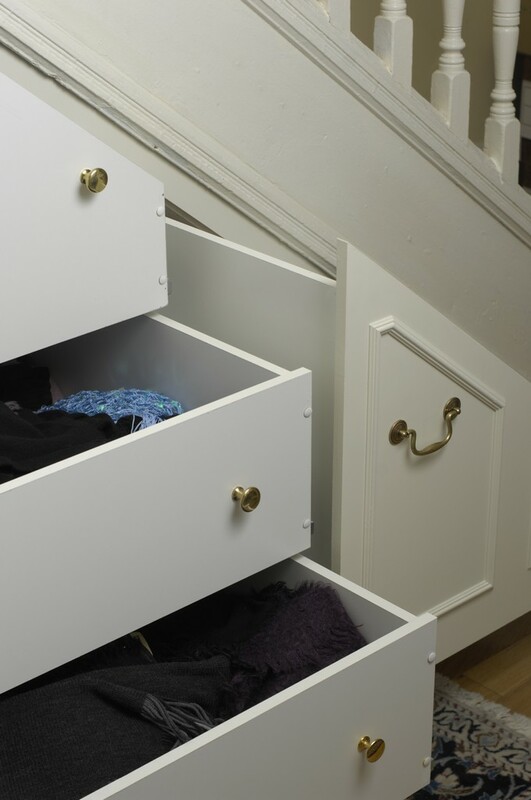 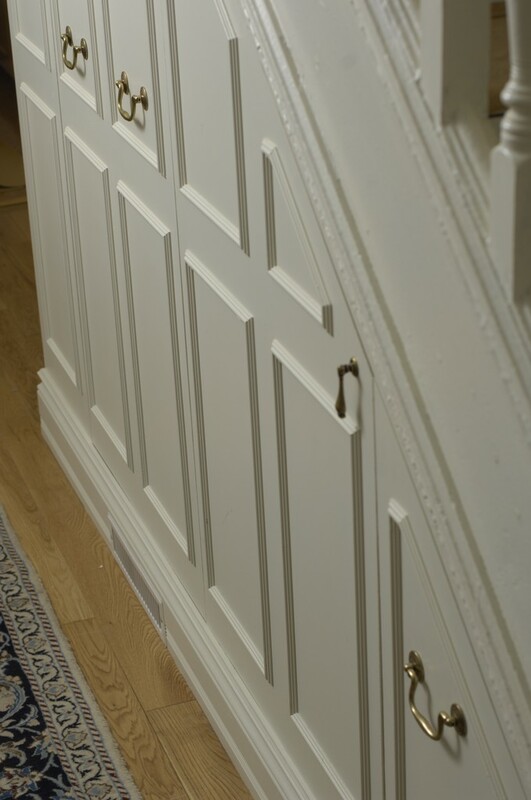 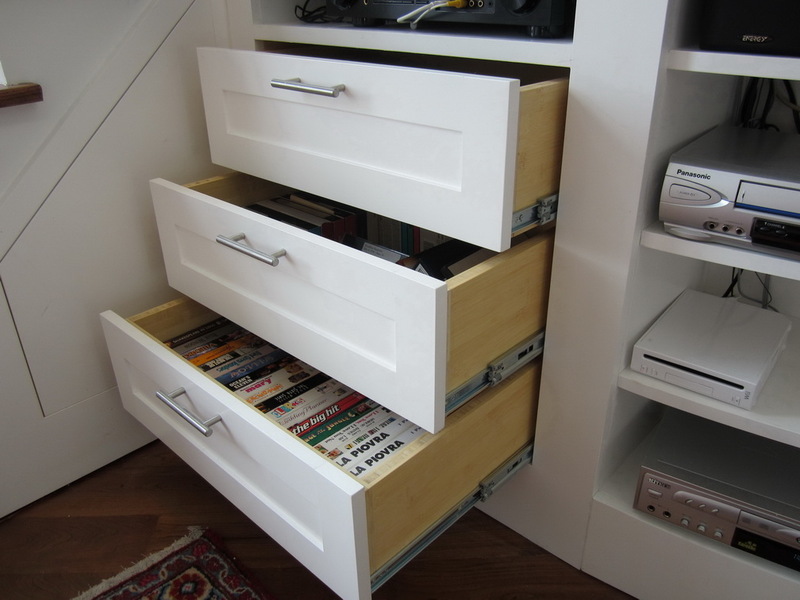 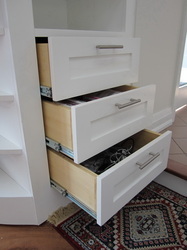 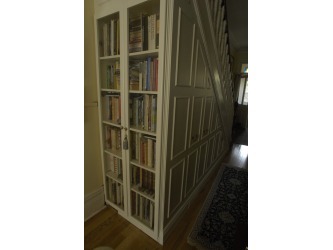 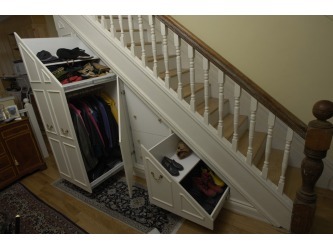 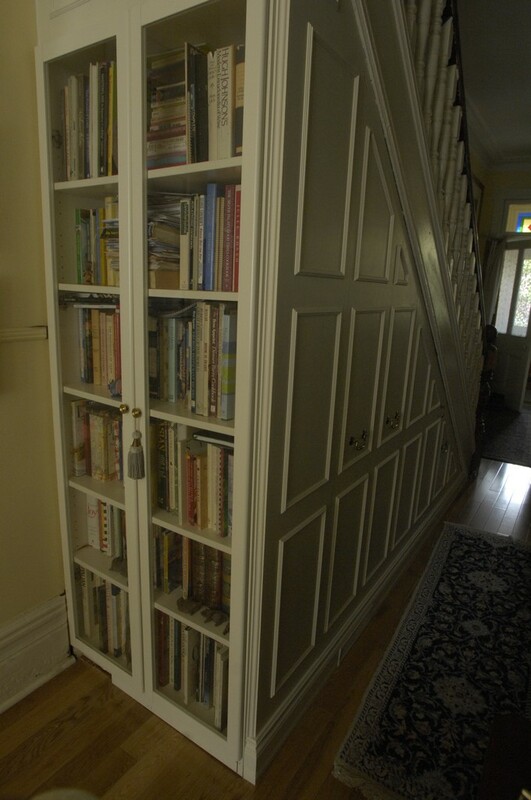 This custom built-in storage unit was done for a client who owns an old Victorian house in Toronto Annex. 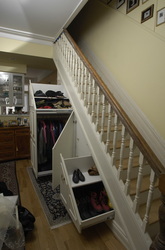 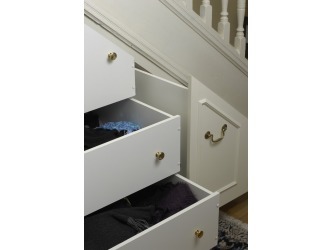 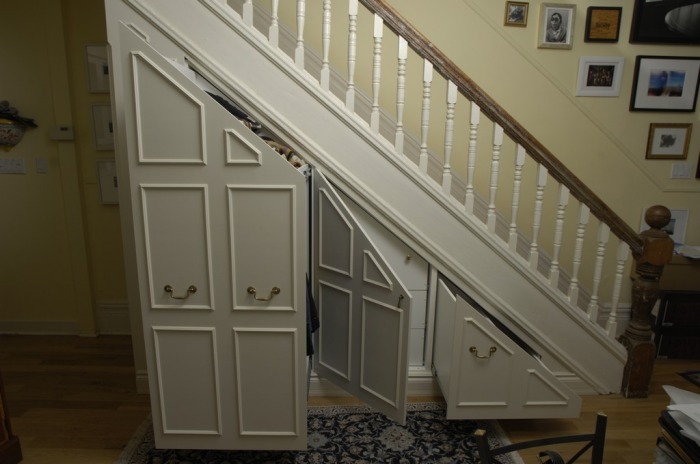 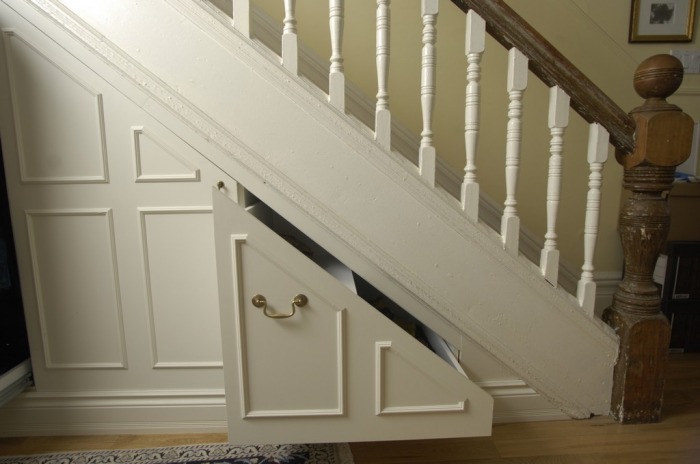 The house has very limited storage space and the client wanted to use the only available and unused area under the staricase for front hall storage. 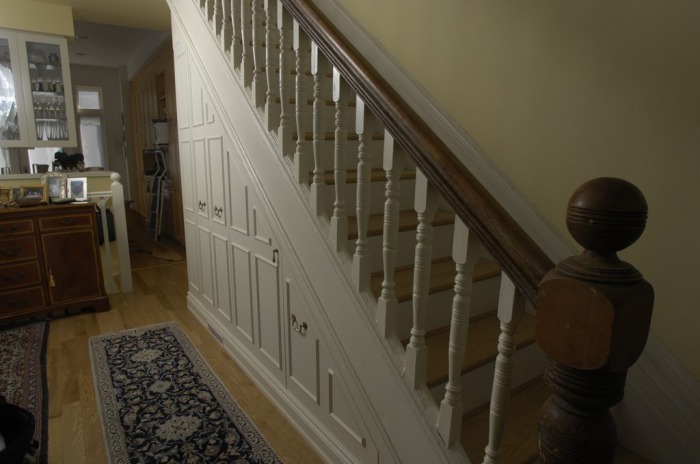 Photography by Toronto Star's Lucas Oleniuk. 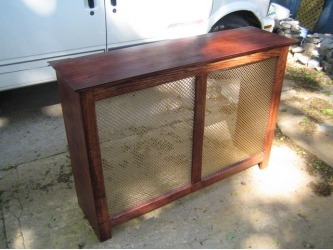 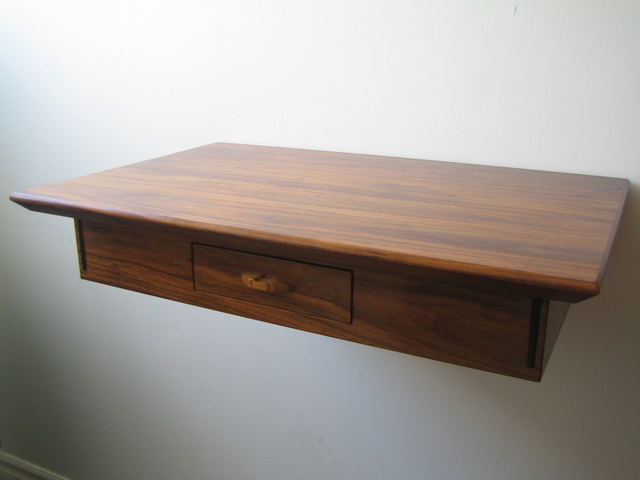 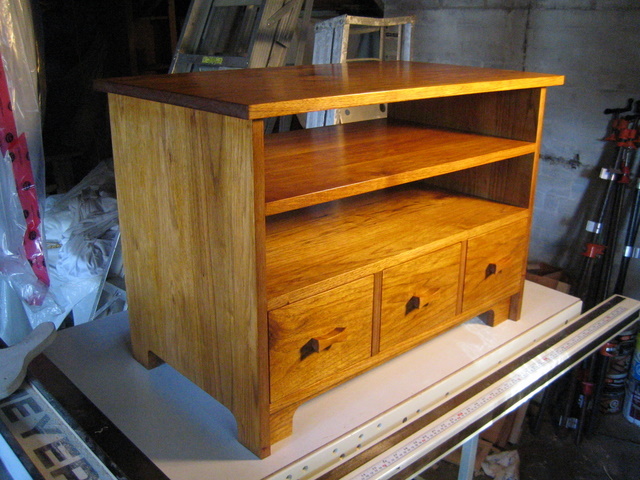 This is a custom TV stand built out of solid butternut wood and finished with shellac. 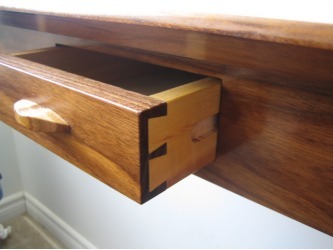 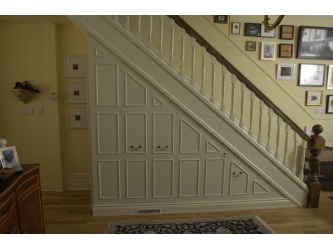 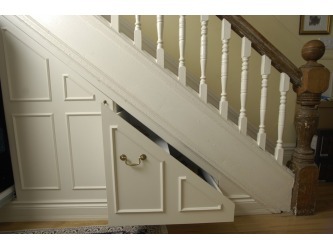 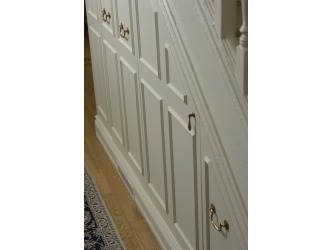 It was constructed using only hand cut joinery with no use of screws or nails. 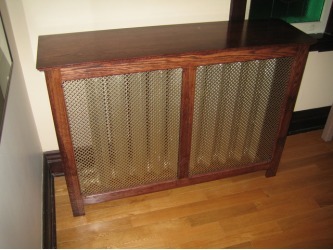 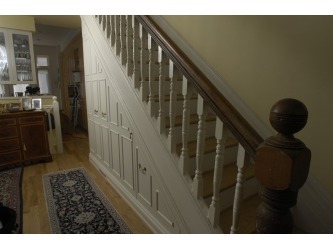 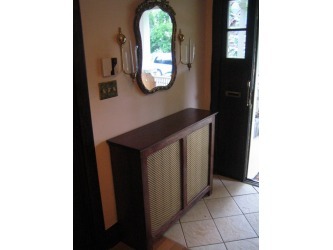 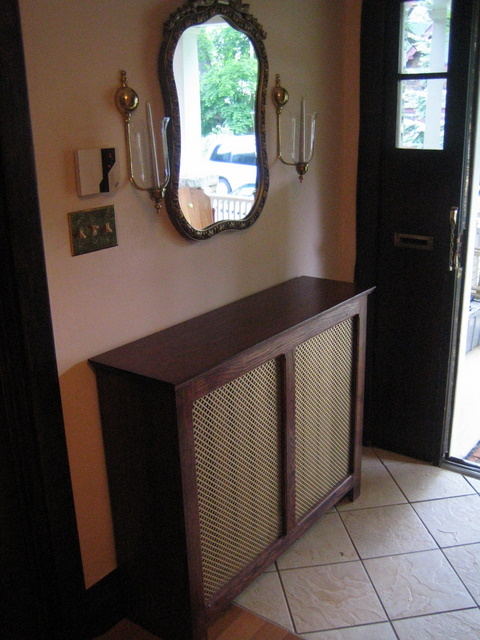 These two radiator covers were were commissioned by one my clients in High Park area. 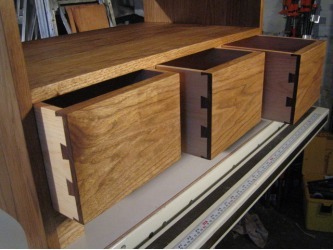 They were built out of mix of solid oak and oak plywood. 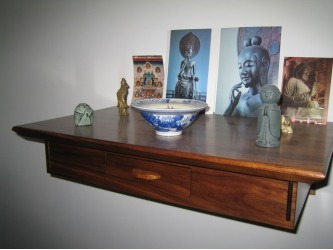 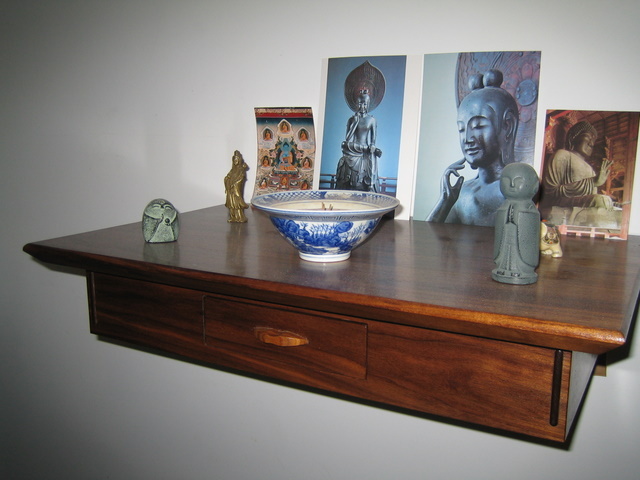 Small altar built out of solid walnut. 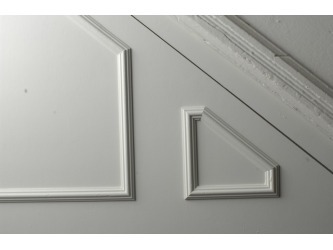 Hand cut joints. These are some of my own planes that I use in the workshop. 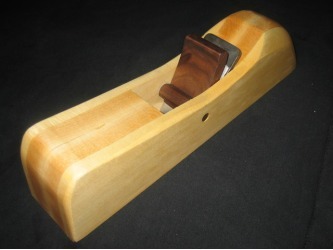 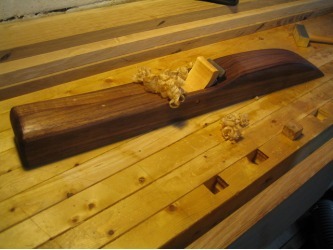 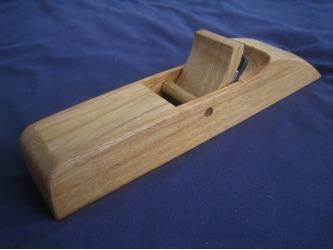 From left: scrub, jack and jointer plane.